A warming planet is changing the environment that animals used to know, let’s explore what is changing for Chinstrap penguins. Chinstrap penguins live around the Antarctic Circle. They can breed in Antarctica, Argentina, Bouvet Island, Chile, the Falkland Islands, the French Southern Territories, and South Georgia and the South Sandwich Islands1. Their diet mainly consists of fish, krill, shrimp and squid for which they regularly swim up to 80 Km to obtain1. A recent study found that when ocean conditions change, Chinstrap penguins might have to travel farther and spend more effort to get their favorite prey2. Chinstrap penguins depend heavily on Antarctic krill, as other animals in Antarctica do. 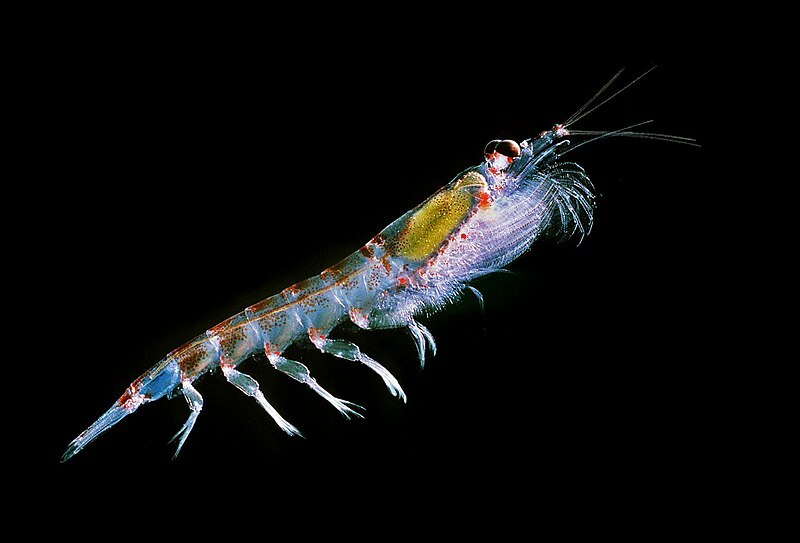 Krill are small crustaceans found in all the world’s oceans. In the Southern Ocean, the Antarctic krill is the most abundant species and is a key resource and a keystone species in these ecosystems3. The dependence of Chinstrap penguins on krill is particularly relevant during the breeding season. Small swarms of krill can aggregate around coastal and shelf areas, while large swarms are more likely to be found at sea. Sometimes, when wind currents change drastically, it creates very poor conditions for krill to feed (e.g. less availability of phytoplankton) and the krill must dissipate from small coastal aggregations, thereby becoming a sparse or even absent resource in these areas2. Recent studies have found that climate change will bring an increase in frequency of El Niño events. But not only will those events increase in frequency, upcoming El Niños are likely going to be stronger than before, and are going to be associated with extreme weather events4, such as warm waters and variable wind currents. Variable wind currents have the potential to make krill distributions unpredictable. 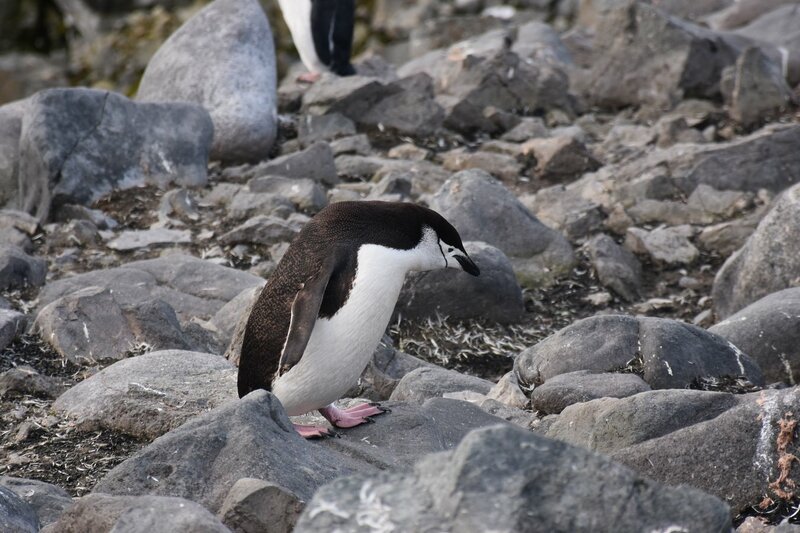 The distances that adult Chinstrap penguins traveled from nest to foraging sites were measured during two breeding seasons in 2014 and 2016, in breeding colonies located at the Powell Island in the South Orkney Islands archipelago. Both breeding seasons were characterized by different environmental conditions. In 2016, an unexpected short-lived El Niño occurred provoking coastal down-welling and reducing coastal krill availability2. Adult Chinstrap penguins in 2016 had to travel farther and stayed at sea longer on each trip. The 2016 penguins also had to cover larger areas at sea on each trip. Normally, when penguins forage for krill, they prefer to do so in coastal waters, where small swarms are aggregated in dense packs. Penguins remain in these high density patches until those patches are depleted. Since strong wind currents make krill less aggregated, penguins have to travel farther for food. Penguins normally travel far if they need to, but the energetic consequences of moving longer distances than usual are still not known. There is also another constraint. 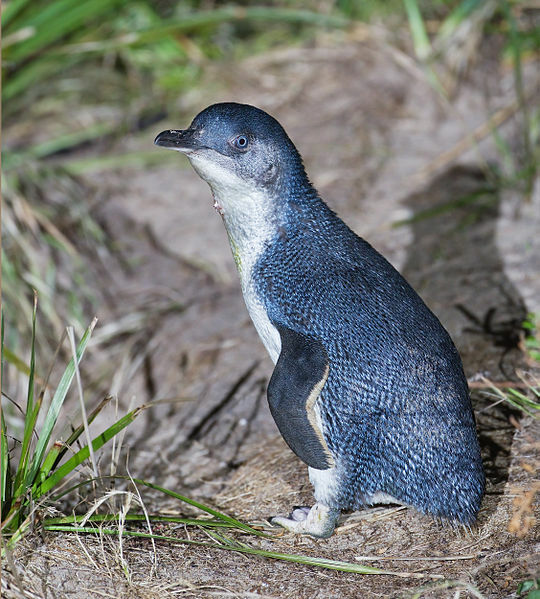 When chicks are out of the nest at the crèches, adult penguins are limited by the amount of time they can spend away and sometimes are forced to come back before they’ve finished foraging enough prey for themselves and their chicks. Some adult penguins tracked in 2016 traveled between three to 10 times the maximum distances measured in 2014. Although the consequences of such differences were not measured in this population, the authors of the study suggest that such a shift in behavior could potentially cause nest desertions and increase chick mortality. There is another factor that might represent increasing pressure for Chinstrap penguins and other Antarctic wildlife: the commercial exploitation of Antarctic krill. Antarctic krill has been always considered an abundant resource and has been heavily exploited in the past. Thanks to regulations implemented in the last decades there has been a rebound in krill abundance, to which some fisheries have responded increasing their quota. Krill fisheries prefer southern waters because, just as for the penguins, the fisheries can find swarms of krill grouped in a more predictably way3. The impact that the exploitation by fisheries and climate change combined will have on krill availability is still unknown but could be catastrophic for all wildlife in the Southern Oceans. Luckily for some species, it was recently announced that krill fishing companies operating in Antarctica will stop operations in buffer zones close to breeding colonies of penguins from 2020 onwards3. This could alleviate the pressure coming from the fisheries industry, however we still have not found an accurate way to predict the impact of changing climatic conditions on the survival of this species. 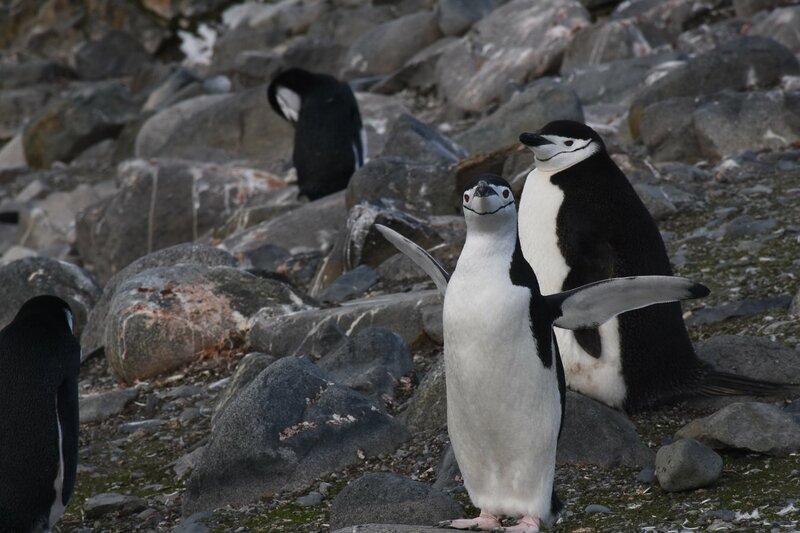 Whatever happens next for Chinstrap penguins will have to be seen in the upcoming years. What a diet these penguins have! Did you know about this? Let us know what you think. Lowther, A. D., Trathan, P., Tarroux, A., Lydersen, C., Kovacs, K. M., & Handling editor: Howard Browman. (2018). The relationship between coastal weather and foraging behaviour of chinstrap penguins, Pygoscelis antarctica. ICES Journal of Marine Science, 75(6), 1940-1948.